“The visit by Secretary Ross emphasizes the increasingly significant role the Fernandina Port is playing in making this community a gateway for global trade, particularly with South America, Europe and Asia, the benefits of public-private partnerships, and in the increasing economic importance of Nassau County and surrounding areas,” Port Director Laura DiBella said. Ross is scheduled to speak to business and port leaders and tour the port facility. 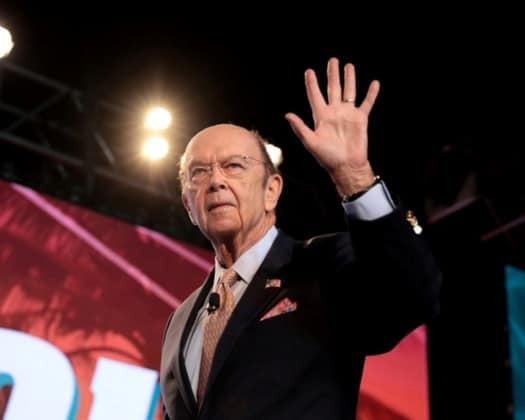 “During his visit, Secretary Ross will be briefed on recent and planned enhancements to the port including the installation in January of the towering Liebherr Mobile Harbor Crane that enables port employees to move cargo more efficiently, improve vessel turnaround and serve more ships, faster and safer,” the port noted. Last month, Worldwide Terminals Fernandina LLC is starting a monthly vessel service at the port with Netherlands based SDW Shipping. The port insists this service will dramatically expand its connections to Europe, Central and South America. Christopher Ragucci, the CEO of Worldwide Terminals Fernandina, stressed the port’s efforts to modernize including plans to invest $15 million. “The visit by Secretary Ross is testimony to the growing strategic role the Port of Fernandina plays due to its location in the burgeoning Southeast and the excellent connections to the U.S. mainland it offers to a global network of vessels and customers,” said Ragucci.